If you wish to do your Dentistry Elective in Ghana, you will be working at the Dentistry department of a Hospital in Accra, Ghana’s capital city. You will shadow one of our supervisors who all speak English and are very experienced at working with students. They will be keen to test out your dental knowledge, as well as giving you the benefit of their training and experience. The hospitals where we work are experienced in working with students on their Dentistry Electives. You will find yourself coming into contact with conditions that you wouldn't normally see in Europe and North America. You will find treatment and equipment will differ from what you are used to. This experience will be challenging, but will also provide you a wealth of experience and be hugely rewarding. An elective placement overseas is an excellent base for learning and improving your dentistry skills and will help towards furthering your career in Dentistry. 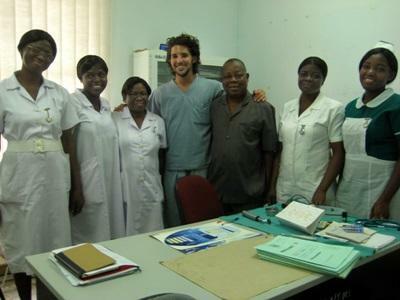 When undertaking your Dentistry Elective in Ghana, you will live with local host-families. There will always be a large Projects Abroad volunteer community for you to get know and spend time with. Please be aware that most universities have deadlines by which your Elective application paperwork must be completed. If your university needs information on the hospital or clinic in which you will be placed, or requires forms to be signed by your project supervisor, we strongly advise completing our application form at least one month before this deadline. We can only provide this detailed information once you have applied and been accepted onto an Elective placement with us.